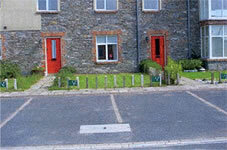 High quality range of recessed covers to cover openings in landscaped areas. 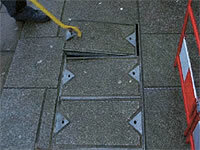 The covers present a minimum of exposed metal thereby masking the presence of manhole covers and allowing and allowing paving patterns to be continued over the access point. Recessed covers are suitable for internal and external use and come in a standard range of sizes and depths which can accommodate paving thickness from 50 - 100mm. 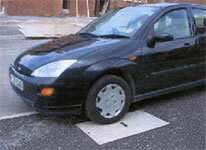 BT badged units are manufactured in accordance with BT specification LN593 and are kitemarked to Class B125 of EN124:1994. The covers are 75mm deep as standard and are fabricated in 6mm steel. BT units also incorporate a slide-out feature for single person operation. Specifiers should take care to ensure that approved suppliers are properly specified on bills of quantity. The company is also an approved supplier to Telewest Communication and NTL. 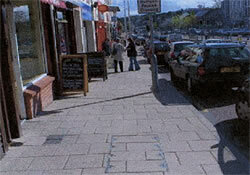 The cover shown right now installed in Cork City was 8800mm long X 1200mm wide. Our covers are designed with manual handling requirements in mind and feature slide out covers with tapered sides. These features allow covers to be safely removed by one person. Cover sizes are designed to ensure safe lifting weights and multi-cover sets include removable cross members. 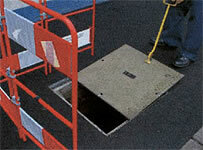 Manhole covers should meet the requirements of the European Standard BS EN124:1994. Covers fitted in footpaths and other areas which may have occasional vehicle loads should be third party certified to Class B125 of EN124. Covers which do not have the mark of a certification body on the cover do not comply with EN124. We manufacture a full range of EN124 certified concrete-filled access covers of for use in general construction and utility projects. Covers are manufactured in galvanised steel, are factory filled with reinforced high strength concrete and badged to customer requirements. The covers are designed with manual handling regulations in mind featureing tapered sides and centralised lifting keyholes. All steel is hot dip galvanised to EN1261 to offer a life span often in excess of 30 years. 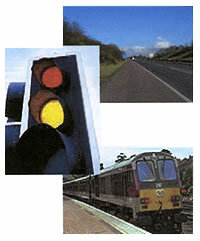 Covers are now also being used extensively on Gas, Rail, Electricity and Motorway Communications projects. Most recently the covers have been approved for Traffic Signalling and Street Lighting applications in preference to composite plastic covers which do not meet the requirements of EN124. All industry standard cover sizes are available together with bespoke sizes, locking & coloured covers all manufactured at highly competitive prices compared with their ductile iron/cast iron equivalents. Concrete-filled covers and frames are to be kitemarked to Class B125 of BS EN124. This applies to all situations, road and off-road and all materials. Products designed to BS EN124 are grouped depending on their place of installation. 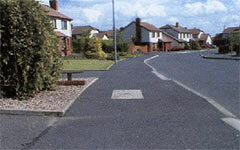 So can concrete-filled covers be used in areas accessed by HGV traffic? The covers are designed with manual handling requirements in mind and feature slide out covers with tapered sides. These features allow covers to be safely remobed by one person using the correct lifting key. Cover sizes are designed to ensure maximum safe lifting weights and multi-cover sets include removable cross members to allow covers to be removed any direction.